There is a long tradition of creating objects from the blessed palms of Palm Sunday. People take the objects and place them behind a crucifix, image of Christ, Mary or the Saints in their homes. As blessed items, the palms should never be thrown away. They should be burned or buried in the earth. In fact, old palms are collected before Ash Wednesday to create the ashes used to mark peoples foreheads. Below are videos on braiding or weaving the palms into several common designs. 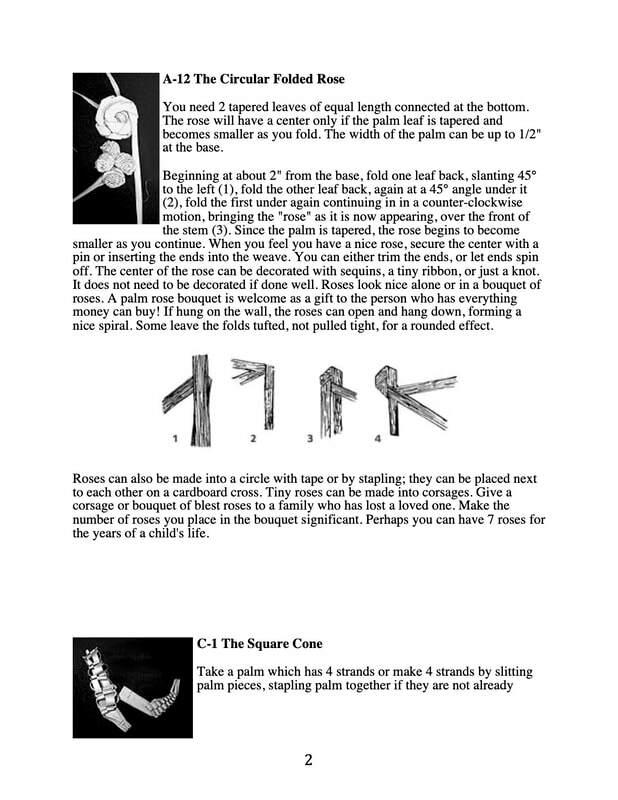 Click on the image above to open a PDF document of several different palm braiding designs.